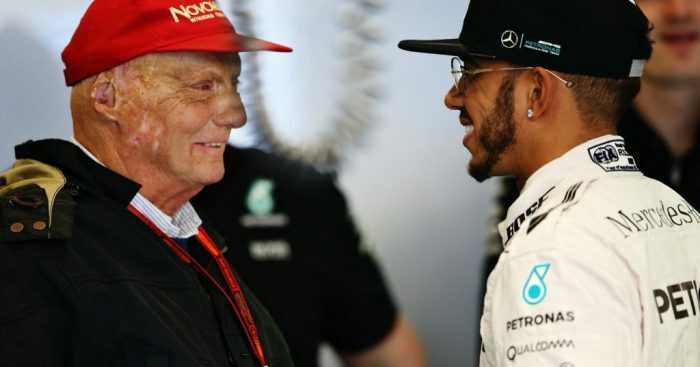 Lewis Hamilton has revealed he was initially not a big fan of Niki Lauda prior to working together at Mercedes. Before Lauda helped lure Hamilton to Mercedes from McLaren, he criticised the now five-time World Champion with his comments after Hamilton’s crash with Felipe Massa in the 2011 Monaco Grand Prix perhaps the most damning. “What Hamilton did there goes beyond all boundaries,” Lauda told RTL television at the time. “He’s completely mad. If the FIA does not punish him, I do not understand the world any more. “At some point there has to be an end to all the jokes. You cannot drive like this – as it will result in someone getting killed. Hamilton said that those comments, amongst other criticism, stuck with him when first talking to Lauda and negotiating his move to Mercedes. “From then on, our relationship got better and better,” Hamilton added. “I love Niki, I miss him and I hope he will be back soon, but originally I did not have a high opinion of Niki. “I often send him a video from the box or from the engineering briefing and keep him up to date on what’s going on here. “He called me last week, it was so nice to finally hear his voice again. Lauda is recovering from a lung transplant operation after falling ill on holiday, but is back at home after leaving hospital in late October.